Hannah lost another tooth on January 23, 2008. 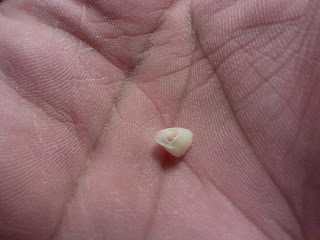 This tooth was quite persistant and it lingered in Hannah's gums for a couple of weeks. We are all very happy that this chapter is closed until the next one starts again! !